Before we went to Mongolia, we knew there would be a slight altitude difference from our sea level hometown, but we didn’t think much of it, because it seemed it would be much lower than the risk zone for altitude sickness. Well, then we ran, every day, at 7,500 ft. Sure, I felt a bit of difficulty inhaling through my lungs, but I thought nothing of it. 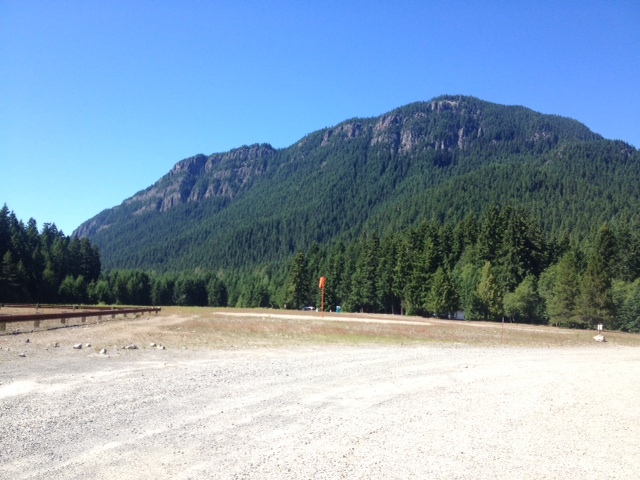 I didn’t realize it until I returned home to Vancouver, it felt like I had this new scale of effort that I could access, with less input than before– I could run the same pace with no oxygen debt, or, I found there was a new gear– I could run much harder, steeper, longer, without feeling tired. I’d go to a workout and surprisingly find myself running with new pace groups! Needless to say, the altitude training, the every day of running, the fact that we got sick and I lost 5-10 pounds… (Don’t worry Shamai, I will regain it, I just bought lots of beer!) It all meant that I came home from Mongolia discovering I had new wings. Enter the White River 50 Miler, which was yesterday. I started the race in polite Canadian fashion, maybe three rows back from the start line, but I quickly discovered that my Mongolian legs and lungs had far more in store. I definitely miscalculated my own potential, as I found myself feeling very caged for the first huge climb, behind a long train of less altitude-trained people on narrow single track. Almost without any choice, once the trail opened up I floated through the race and found myself passing uphill, flying down hills, and rolling through the race feeling more like I was running a 50k. Feeling that good, nothing could bring me down… I wasn’t going to let it. I felt like my hip-flexor was getting angry early on, then I consciously used the amazing descents to stride it out. I was enjoying myself to the point that there were no low points, I was just making friends with people, switchbacks, and hills– Tara, Dave, Meredith, Marta, Shauna, Suntop Mountain, Ranger Creek switchbacks, and I imagined high-tenning Barry, although he was ahead somewhere. About 1/3 into the race until the end the few spectators seemed excited and kept saying, “3rd woman! 3rd woman! Nice gold shorts! Go chase down 2nd!” and I guess they didn’t know about this website, or why I actually wear shorts that are gold coloured, precisely because I’m not running for those things. While the support was so appreciated, the “run for gold!” competitive encouragement just wasn’t my scene, so I replaced those messages with these ones! “You’re in 18th!” somehow 18th place is a nice chill spot to be in, with no pressure and also no ego at all, don’t you think? This is not a race, this is tree tourism. This helped me to look around at the AMAzing trees! the airstrip start of WR 50, this is my happy place! All in all, it was an amazing race. It’s one of the most beautiful (singletrack!) courses, there’s an awesome chill camping vibe before and after the race, and aid station volunteers made me feel pampered, even though I was coated in mud and salt. Can you believe, these are the Khongoryn Els sand dunes as we drive toward them. From this angle, you can really get the perspective to see how impressive they are– a mountain range in scope. Khongoryn Els is a chain of beautiful sand dunes that rise up like mountains in the otherwise flat / rocky Gobi. The biggest sand dune and the one pictured here is 100k long, 10k wide, and 300m high. And that’s 300 meters of your feet sinking through the sand about a foot. It felt exactly like climbing up a mountain of fresh powder: tough, but fun and silly, with amazing views at the top. Rocky beauty right outside Khongoryn Els. We took a day to adventure around Yolyn Am, which is a beautifully runnable mountain range in the Gurvan Saikhan Mountains of southern Mongolia. Here we explored the ridges to our heart’s content, and fell in love with trail-less running alongside hundreds of mountain animals. lucky for my fetish with clambering over rock, rocky sections are characteristic of the Gobi. Laurel whispers to mountain goats on our exploration run up and down Yolyn Am’s valleys. a ger is a Mongolian yurt, it’s where Mongolians live, herd, cook, and hang out, and we joined them from time to time for a fun way to spend the night. Camels are a legit form of transport in Mongolia, down in the Gobi. Often we saw more animals crossing the “roads” than humans or cars. Mongolian roads are like animal highways! Tara nearly pulled her hip from the camel ride, it was an intense hip-opener. Pretty funny. chillin in the land rover. I used to figure skate in this makeshift turban (gold sequined overcoat). Just endless space… where you can go ANYWHERE! For whatever reason we would end up running during daily highs, (~30C) maybe it’s a Vancouver thing, the desire to feel more sun? asking for directions on the way to Yolin Am. looks a little bit like the Grand Canyon, don’t you think? An interesting canyon on our way to Yolin Am. 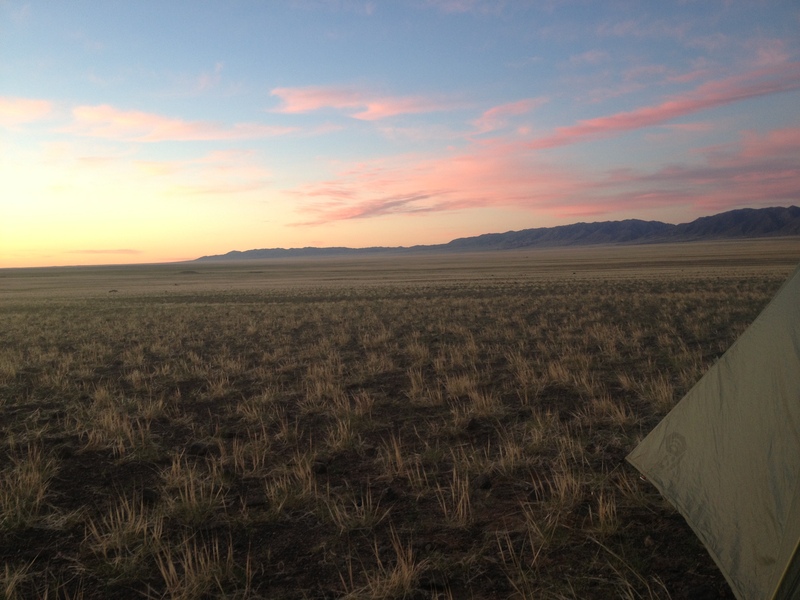 camping in Mongolia at sunset is the most beautiful thing! quality time, Laurel and our driver. It must have been really windy at the top, hence Laurel’s jacket. 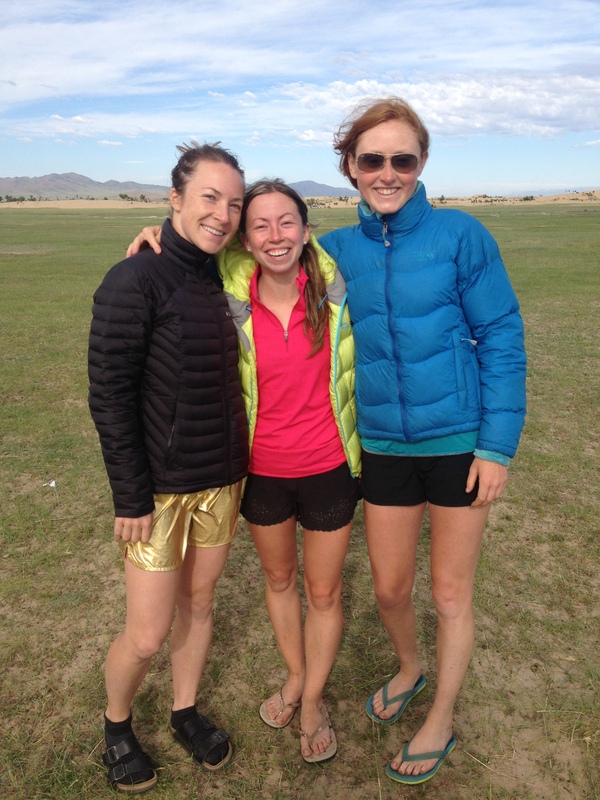 we chose to run in the middle of the day in the desert, which was relaxing but HOT! for days we drove and saw more animals than humans. Animal traffic crossings are like cross walks in Mongolia. and the sky suddenly turns to perilous shades! But we run anyway. we’re running right toward an inviting rain and hail storm! asking for directions and driving conditions ahead seems to be a Mongolian pastime. When another storm rolled through, we got a chance to learn about the Mongolian culture of interdepency. Without any hesitation, a local family hosted us for shelter and tea, before 9am. Check out the set-up, this is a common type of home for Mongolians living in the countryside. Mongolians have an amazing education system and very high literacy rate, teenagers from the remote areas attend boarding schools in larger towns. Giraa, a teen we met in the Northern Gobi, even had Facebook! rainy season means roads are impassable! our driver from northern Mongolia! He was down to eat whatever we were eating, although he laughed at the freeze-dried packages. He loved meat! Just about three weeks ago, the quest of running in virgin landscapes brought us to Ulaan Bataar, Mongolia, where we began a two week running adventure through the world’s least populated country. For two weeks, the curiosity of our feet led us on a crazy pilgrimage across steppes and gorges, up giant sand dunes, and past hundreds of camels. We ran three to four hours a day, camped and stayed in gers, (the Mongolian yurt) and when we weren’t being the only three people running in the country we generally drank all kinds of exotic milks, became dedicated red meat & game eaters, and played Mongolian children’s games with camel bones. We did not shower, and we had no cell phones, no computers, and no fruit and vegetables. Instead we had wet wipes, an InReach satellite SOS device, and Haribo fruit-flavoured gummy bears. While we went in search of desolate landscapes, it was actually the people that stand out most. In a flash rain storm that chewed up the dirt road and fogged visibility in Northern Gobi, we dropped in unannounced on a local family, who welcomed us for milk tea even though it was before 9am, and the teenage daughter was still sleeping in the center of our gathering. We were lucky to experience the critical factor that helps Mongolians survive, an empathy and interdependency that supports them to live in harmony with the harsh land. In this world, each family served a critical role to one another. Instead of the latest waterproof technology or tall rain boots, they had Community. They let nature take its course, and while they waited, they had a dinner party. Can you imagine if we were to implement this in our own communities? A few people joked that this author would maybe stay behind to roam Mongolia, but we all came home, loving Mongolia but loving our Community more. In search of remoteness and simplicity, we found an appreciation for people, and for complexity, a new lens on our lives we didn’t know existed. As always, the simple act of moving our feet brought us far more than just that. 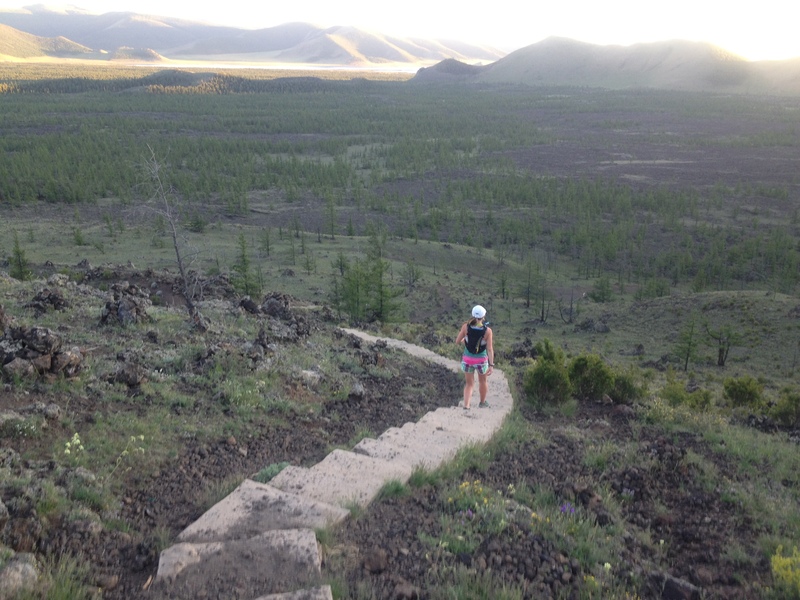 Going to run in Mongolia was far more than a run.